iPower is a reliable hosting company and I’ve already shown its reliability in the iPower Hosting review post. In this post, I’ll discuss the WordPress hosting plan of iPower. So, let’s move into the main part of this post without making any delay. You’ll see the same WordPress hosting packs in iPage and FatCow too. 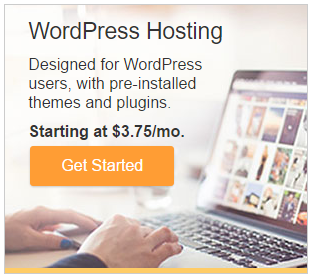 Yes, you’ll see that these 2 hosting companies provide the same WordPress hosting packs. However, let’s move with this review which is solely based on iPower. Pricing. The regular price of iPower WP Starter is $9.49 per month. Discounted price. 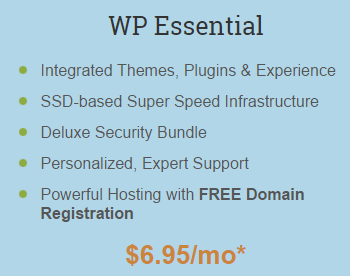 The discounted prices of WP Starter and WP Essential are $3.75 and $6.95 respectively. Renewal price. This is quite common to see that the regular pricing of a hosting pack is the renewal price. In this case, the renewal price is all the same. That means the regular price is the renewal price of the hosting pack. Money-back guarantee. There is a 30-day period for the money-back guarantee. You can claim the money that you have paid for the hosting plan back within the mentioned period of time. The hosting company is bound to refund your hosting fee because this is in the terms and conditions. Disk space and bandwidth. iPower WordPress hosting plan comes with an unlimited disk space and bandwidth. Free domain. 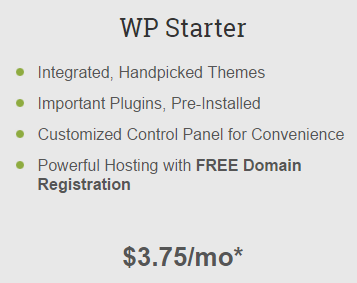 iPower provides a free domain with its WordPress hosting plan. This free offer is valid for the first year of purchasing any of your hosting packs. Speed. The WordPress plan of iPower ensures a super speed. So, you can expect a better speed on this WordPress packs of the hosting company than its shared hosting packs. Control panel. vDeck is the control panel of iPower WordPress hosting packs. 1-Click installer. The MOJO Marketplace is the 1-click installer that the WordPress hosting packs provide. Website builder. iPower provides a website builder which has a free version too. If you want the full version of the tool, then you could buy the premium plan of it. Support. You can be assured with the responsive support that comes with the WordPress hosting packs of iPower. Security. An Enhanced Security feature comes with the hosting packs too. I’ve checked most of the features of the WordPress hosting packs of iPower. Now, I wanna let you know my rating. Usually, I rate all the decent hosting packs with a 4-star rating if there are no severe negative sides in them. In the case of iPower WordPress hosting plan, I didn’t find any major negative in it. So, I can rate it with a 4-star rating. My task is over by reviewing the WordPress hosting plan of iPower. Now, it’s your turn to double check both the hosting packs of the WordPress plan. Your close supervision can tell you well whether the hosting packs will meet your requirement or not.